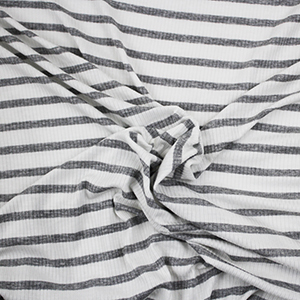 A classic Breton stripe with a heather gray stripe on white cotton spandex 3x1 ribbed knit. Fabric is the perfect light to medium weight, with a great 4 way stretch and recovery. 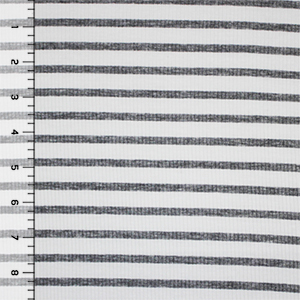 Heather gray stripes measure 1/4"+ (see image for scale). 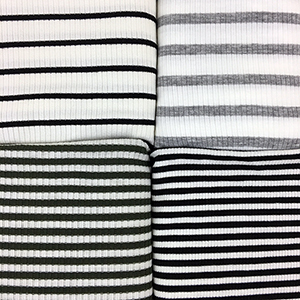 Perfect fabric for sleeve cuffs, necklines, and waistbands and also great for tops, dresses, and much more!